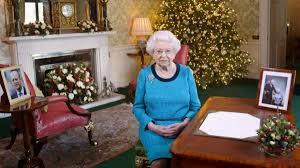 In the Queen's 2016 Christmas message she focused on the idea of inspiration coming from ordinary people doing extraordinary things. It's true. I certainly gain a lot of inspiration from people around me and it's a good time to look back on 2016 and thank some Joe and Jo Normals who have inspired me. In my farewell speech to Woodford House I paid tribute to the girls because, everyday, I could easily find a large number of students who were pushing and stretching themselves in a variety of ways - in sport or the arts or the classroom or in leadership. They definitely inspired me on a daily basis. Some of the teaching staff at Woodford inspired me considerably, to be better and to think about things on a deeper level. In particular, take a bow: Toni Dunstan; Jane Perry; Dionne Thomas; Amy Reid; Greg Semmens - all of whom made me want to push and stretch myself to new challenges. It's a messy process this challenge business - two steps forward, one back sometimes, and I may have got a tad frustrated and even (shock horror) grumpy at times but it was always out of a sense of wanting more for the school, the English department, Wallingford, or, myself. So, ma'am, may I add my ordinary voice to your regal one - a huge thanks to all these ordinary people doing extraordinary things to inspire me. Go you good things!